As promised, the CYCLO is here! Be sure to check out the newly revamped Machine Kit Section. You'll notice that we now sell the Cyclo and Flex separately from the kits for those who have already bought polishes and pads and maybe don't need a whole kit. There are additional deals in the Detail Supply Specials section, plus don't forget to use the code LIBERTY to take 15% off your entire purchase! WE HAVEN'T FORGOTTEN ABOUT OUR BUDDIES NORTH OF THE BORDER! Take advantage of Adam's US Celebration of July 4th with special Canada Day Savings. 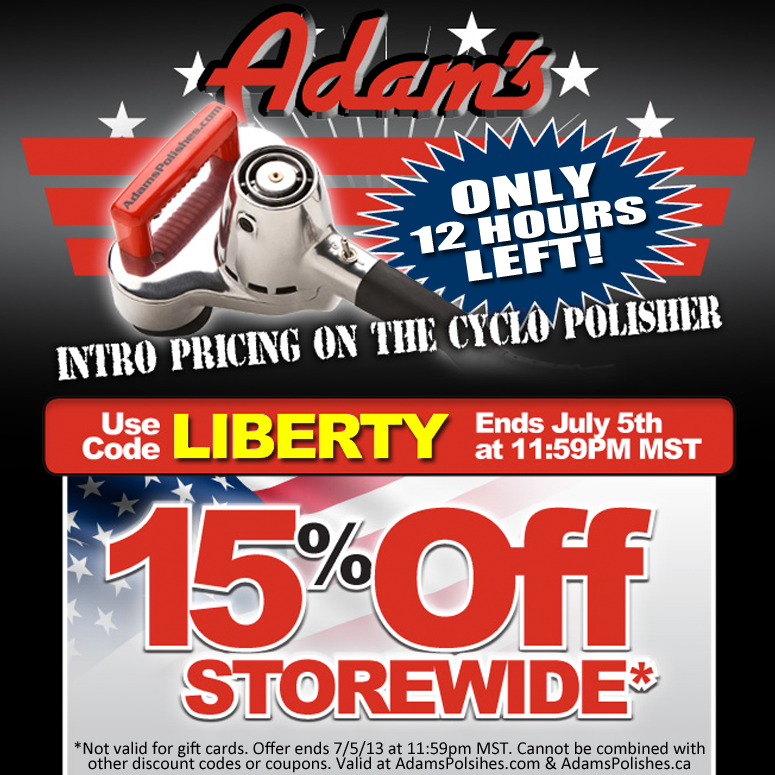 15% Off Storewide at www.AdamsPolishes.ca with the code LIBERTY. 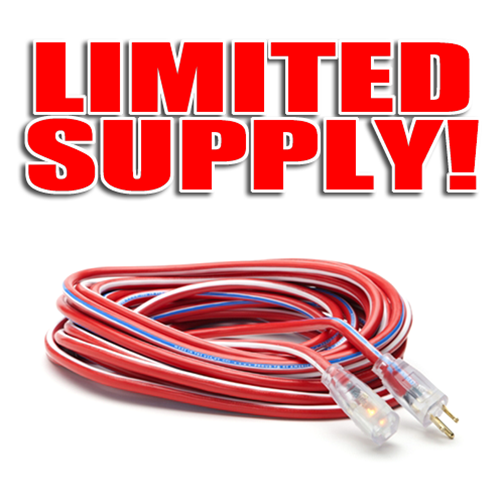 We're down to our final 10 American Pride Heavy Duty Cords. After these 10 sell we are discontinuing them from our line. In honor of the end of our 4th of July Sale we're offering these final few at $10 off regular price BEFORE your 15% discount. If you'd been thinking about grabbing one of these now would be the time! Get yours before they're gone.